Enter an ultra-patriotic era of "military mood" fashions, replete in red, white, and blue. One in a series of books from Schiffer Publishing documenting fashion trends in America, this is an invaluable resource for fashion designers looking to revive and rework retro styles, for costume designers working to recreate an era, and for collectors and historians wanting to document vintage clothing. A visual treasure chest, this book offers more than 400 full-color photographs, with thousands of items of clothing, shoes, and accessories pictured, along with detailed descriptions. 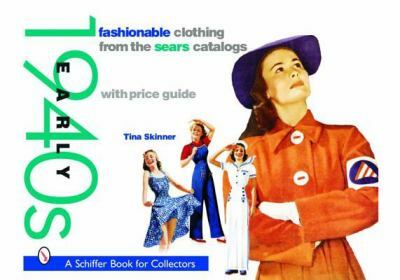 A guide to retail values for these items on today's market is featured as well.Skinner, Tina is the author of 'Fashionable Clothing from the Sears Catalogs Early 1940s' with ISBN 9780764317552 and ISBN 0764317555. Loading marketplace prices 6 copies from $21.26 How does the rental process work?